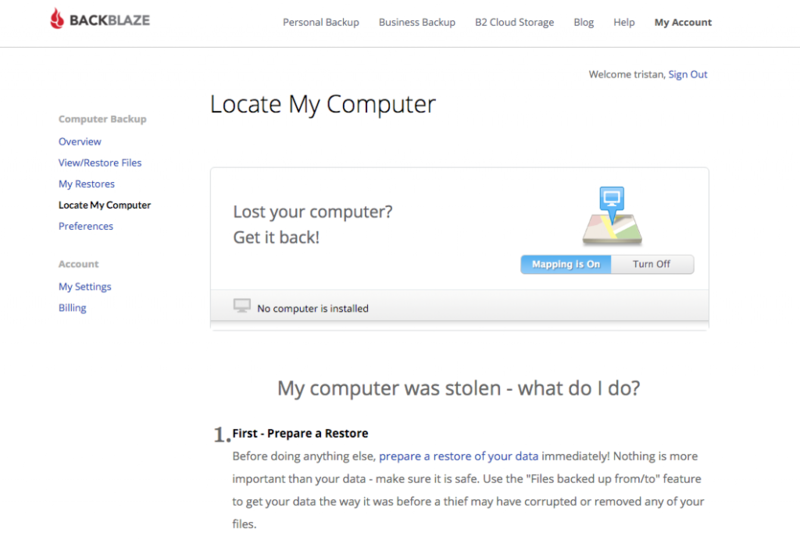 "Backblaze is a cloud-based data protection and backup tool and cloud storage service." Backblaze scored 82/100 in the Backup category. This is based on user satisfaction (68/100), press buzz (54/100), recent user trends (falling), and other relevant information on Backblaze gathered from around the web. Each week we feature an app that has caught the attention of the Crozdesk community. We look for exciting features that make our lives easier, apps that take a radical approach to existing problems or a service that has everyone talking about it. In other words, apps that we think you should know about. 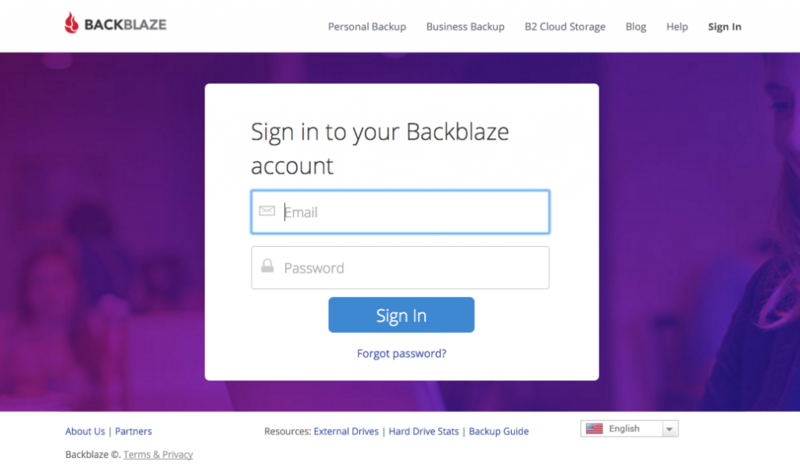 This week’s featured app is efficient and secure online backup software, Backblaze. Backblaze works by initially backing up all the data files on a given computer and then updating only those files which change. This means that the initial upload can take up to a day however users can allocate more internet bandwidth to the backup process by adjusting the performance settings on Backblazes’s desktop functionality. Future uploads are incremental and quicker than the initial backup. 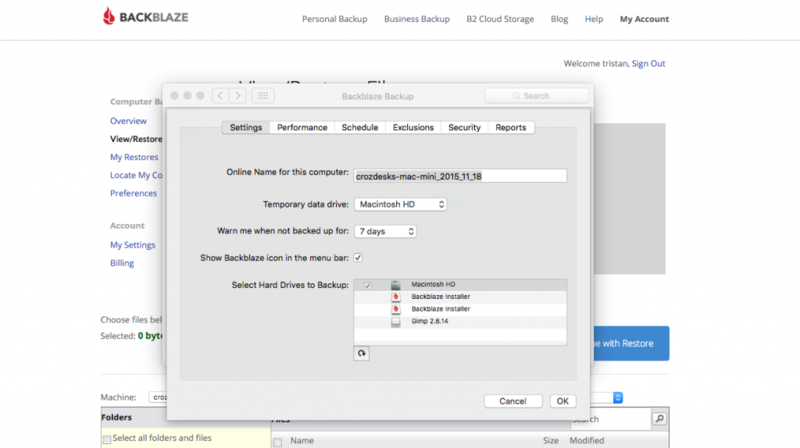 Compatible with both Windows and Mac, online backup tool Backblaze backs up valuable data that can then be retrieved if a computer is lost or stolen. Backblaze is available in a variety of formats, the first of these is the Personal Backup service. Sign-in is easy, simply enter your name and email address to begin a trial version of Backblaze. While the app works on the cloud, it is necessary to install Backblaze to your desktop before using it. The layout of Backblaze is startlingly simple, once downloaded, simply hit the “Backup now” button and provided you have a sound internet connection, Backblaze will automatically begin backing up all the files on your computer. Impressively, Backblaze offers unlimited data backup for your computer and any removable storage devices. Once downloaded to your desktop, Backblaze will automatically begin backing up your files, this process can take some time. The main Backblaze screen offers the option to pause the backup process until a certain time when it will re-start automatically. The screen also shows the number of files selected for backup, remaining files to be backed up and the backup schedule, whether continuous or otherwise. It is worth nothing that while most files are backed up with Backblaze, OS applications, system caches or other temporary files are not backed up. Clicking the Restore Options opens a new window which explains the three different types of restore functionality available. Here you have the free option to download your data in a zip file or alternatively you can pay to receive your files on a physical storage device. A charge of $99 is payable to receive files on a USB Flash Drive with a max storage of up to 128 GB or for $189, you will be sent a USB Hard Drive containing up to 4 TB of your data. In addition to its desktop features, Backblaze includes accompanying web functionality. Online functions include a dashboard view of your chosen and backed up computers; options to adjust restore preferences; a list of recent restores; tracing of a registered computer; subscription plan adjustment and an option to specify the frequency of backups. Impressively Backblaze provides unlimited online backup for what is claimed to be the lowest flat fee in the industry. The pricing plans for Backblaze are simple, prices are per computer and are $5 per month, $50 per year or $95 for 2 years. Backblaze is a highly-effective, simple-to-use and secure online backup tool. When using it, you can be reassured that the tool’s encryption levels are complex and sophisticated enough to protect your files. While Backblaze uses complex technology, it is by no means complicated to use, making file backup a trouble-free process. 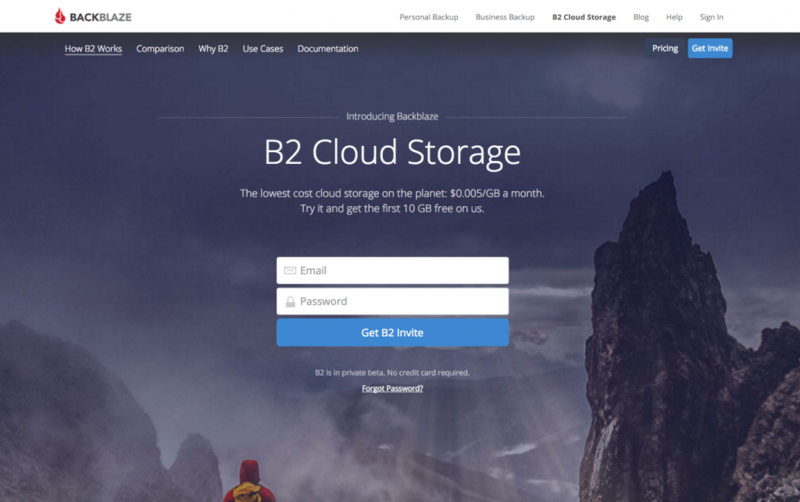 The new addition of B2 Cloud Storage is an impressive update that will no doubt be very useful to business, developers or IT departments wishing to store large amounts of data on the cloud.